Titanfall is expected to be one of the biggest games of 2014 – both in terms of popularity sales and installation size. 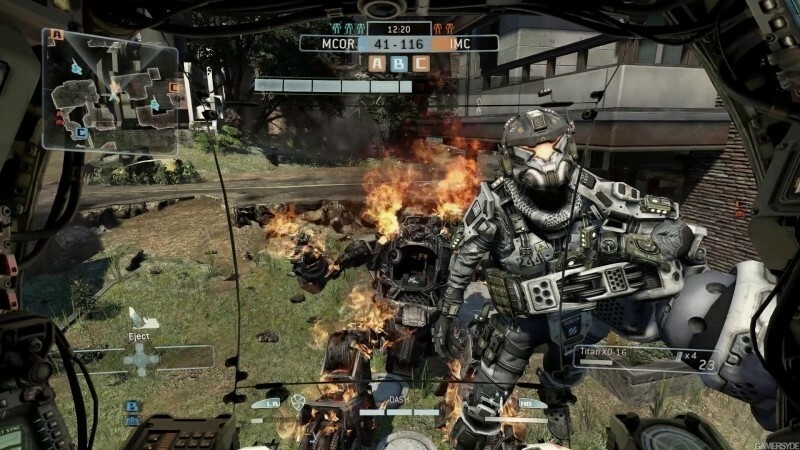 Respawn Entertainment co-founder Vince Zampella recently revealed via Twitter that the PC version will require 48GB of storage. As The Tech Report points out, this is one of the largest (if not the largest) PC games to date. In comparison, Battlefield 4 requires around 29GB, Max Payne commands 35GB and Call of Duty: Ghosts needs 40GB – a full 8GB less than Titanfall. Whether or not the massive installation is a curse or a blessing will depend on a number of factors. If you have a slow Internet connection, it could take quite some time to download a 21GB install file. And while those with large hard drives likely won’t have much to complain about, users with smaller solid state drives may not have enough room or may not like the idea of dedicating that much prime storage space to a single game. The good news, however, is that the price of flash storage has come down considerably in recent times. One can now purchase a 1TB drive for less than $500 or a 240GB SSD for under $140. On the other hand, a large installation typically points to higher quality art assets like high-res textures. Combined with a powerful enough video card, such assets can really make a game pop in terms of visual eye candy. Fortunately, the game's minimum system requirements aren't too terribly demaning which means most modern gaming systems should be able to run Titanfall without issue.